Enhanced support for DICOM files. DC Raw Plugin for reading RAW files and controlling Canon SLR cameras. Integration with Algorithms: DMMD’s open source, parallelized image processing library. The search toolbar allows you to search by name and date for any file name supported by Visere. Dynamic zoom allows you to zoom into an area by “flying” into it. Best Fit (resizes image to Visere) is on by default. The patented AQua2 Enlargement Process. The process enlarges raster images using a patented edge directed interpolation algorithm. The viewing speed. Visere is extremely efficient at opening images by intelligently caching thumbnails and using efficient image format libraries, such as those provided by GraphicsMagick. The Video Manager tool. 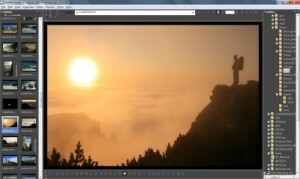 Video Manager transforms Visere into a light movie animation tool. The Screen Capture utility with event triggered capturing. This can be used as a parental control feature to monitor the material viewed by children. The Camera Transfer Utility. Visere can be customized to automatically download your images from your WIA camera. Favorites and Portfolios. Favorites provide quick access to your favorite image directories using a nested tree or a menu based interface, much like your favorite internet browser. Batch Processing. Visere provides a simple and intuitive tool for batch processing tasks such as renaming, converting, resizing and rotating images. Starting with Visere 3.0 our focus has been on improving the viewing work-flow and we have completely revamped the look of our toolbars. Resizable thumbnails. Starting with Visere 3.0 we broke the size limit on thumbnails. You can now resize your thumbnails from 100 pixels to the full screen size. Printing support with customized templates. Over two dozen image editing processes. Besides basic editing functions Visere contains image processes for red eye reduction, denoising, white color balancing, histogram equalization, and many more. Support for major file formats. Visere supports popular image formats such as BMP, JPEG, JPG, PSD, DCM, PNG, PGM, PNM, PPM, TIF, JP2, animated GIF, and HDF. 3D Visual Toolkit (VTK) Support. Starting with version 2.4 Visere started to support the 3D VTK and 3D HDF file formats. If you need support for 3D VTK and HDF file formats please contact us. Visere 4.1 comes with a pretty useful screen capture utility that can be configured to capture different areas of the screen. 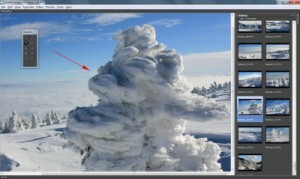 Capturing can be triggered by key strokes or timing events. Triggering can be useful for remote monitoring and debugging purposes. Select capture regions with the mouse. 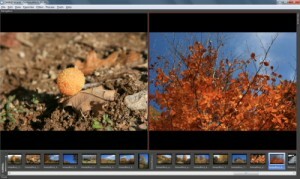 Capture automatically by saving to several different file formats. Trigger capture when certain words are typed. Capture screen regions and automatically save the images to the clipboard. Download Visere 4.1 — the latest version that has a complete GUI interface. Visere 4.1 is freeware. 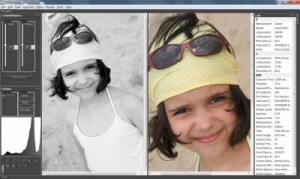 Download DC Raw and Canon SLR Plugins — this plugin works with version 4.1 only. Download Visere 3.1 — an older version of Visere.